English speaking group. Excellent for regional participants. Points of You® Train the Trainer Program is an interactive, experiential training where you will learn the Points of You methodology. You will learn how to use the main tools (Coaching Game and Punctum) for yourself, for one-on-one and group work, as an integral part of your everyday work. At the same time, you will enjoy in a weekend of deep work on yourself. Learn the methodology that is revolutionizing the world of coaching, training, human resources, personal and professional development, the one that enhances creativity and productivity of both individuals and teams. Professionals from different areas around the world use Points of You® tools successfully and with pleasure. They can be applied in various forms of development work with adults, youth and children, through individual and/or group work. If you are a coach, trainer, therapist, psychologist, career counselor, consultant, teacher or you are involved in developing people, this training will be of benefit to you and will open up many new opportunities! The Points of You® tools are suitable for working one-on-one, as well as for working with small or large groups. Explore new ways to get insights and influence the changes, growth and development of your clients. If you are a professional in human resources, an HR manager, a leader, a manager, a team leader and you are involved in improving the process of work and development of employees, this training will be of benefit to you and will open up many new opportunities. Points of You® Train The Trainer training is not a theoretical lecture. The training is experiential, dynamic and creative, meaning that, by going through your personal experience, you will be introduced to the effects that your clients and users will have. 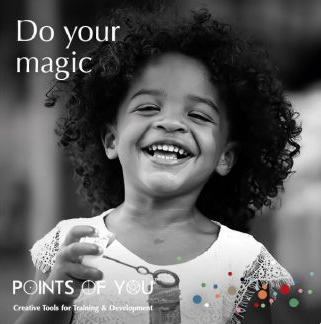 Points of You® tools can be used in one-on-one sessions, for small and large groups, and they can be easily adapted to every audience, objective and theme (topic). During the course you will have a hands-on experience of several ways how to use two tools (Coaching Game and Punctum). 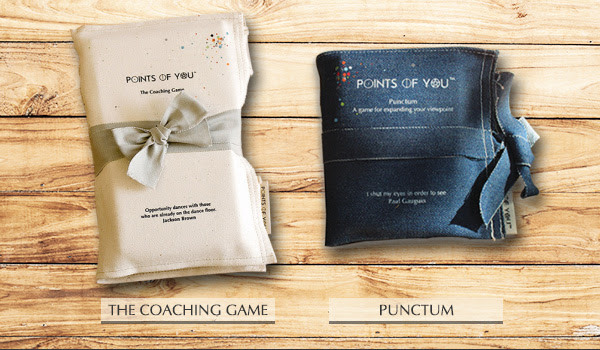 The Coaching Game and Punctum are created as games. 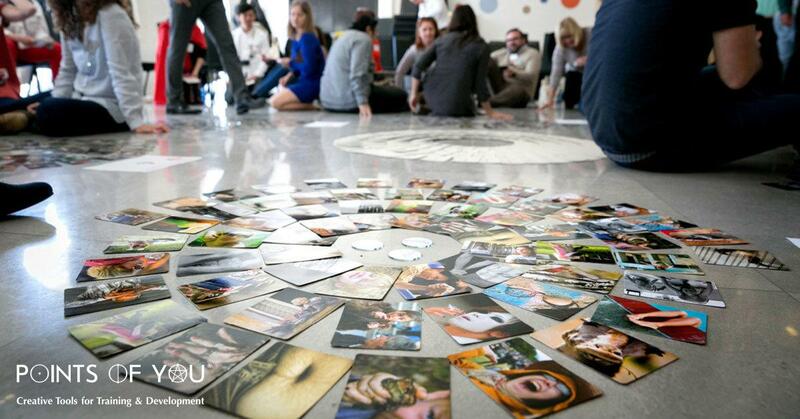 They activate creativity and encourage participants to see situations / topics from different perspectives, to define the desired outcome and to take action. This training is run as a retreat. Aimed to provide you with a relaxing and supportive environment. We have carefully selected a very nice boutique hotel in Skopje (with an excellent view), to provide you with a relaxed feel to your whole professional and personal experience. You will leave the weekend program with the skills required to be a Certified Practitioner of Points of You™ and the amazing magical feeling of belonging to a global community of professionals. You will also feel re-energized and inspired after having taken some time off your daily routine to invest in your own personal development. You will not only receive the tools (The Coaching Game, Punctum) and the training required to become a Points of You™ Certified Practitioner, you will also receive a practical manual, a certificate with 6 ICF accredited CCEU’s points (5.5 Core Competency, 0.5 Resource Development), accommodation and food (coffee breaks also included) in a magnificent environment. Plus, a mentor’s support for your early steps. You will also become part of the wonderful global Points of You tribe (www.points-of-you.com). Accommodation, food, coffee breaks, tools, manual, certificate, VAT = included! Save 40 EUR for two or more participants. Last date for registration is 13 February 2019. The training is organized in small groups of maximum 14 participants. We are here to provide you with all the information and support you need for this decision! Irena Jakimova is founder of INSPIRIT Coaching, a licensed trainer for adults, certified NLP Coach and NLP Master Practitioner, Certified Points-of-You Trainer. Irena has actively been working as a trainer and consultant to managers, leaders, public administration officials, entrepreneurs and companies since 2011. Prior to that, she has a vast experience in the fields of marketing, advertising and communication, both for companies and for international organizations. For more than 15 years, she worked for branches of leading international advertising agencies, like DDB Needham (IDEA Plus), McCann Erickson, which she ran for 6 years, including clients like Coca-Cola, McDonald’s, Nestle, General Motors, USAID and other. She was one of the founders of the first Macedonian Association of Marketing Agencies and the initiators for the establishment of the London School of PR in Skopje. She was also a Member of the Board of Directors of AmCham in 2004-2005. 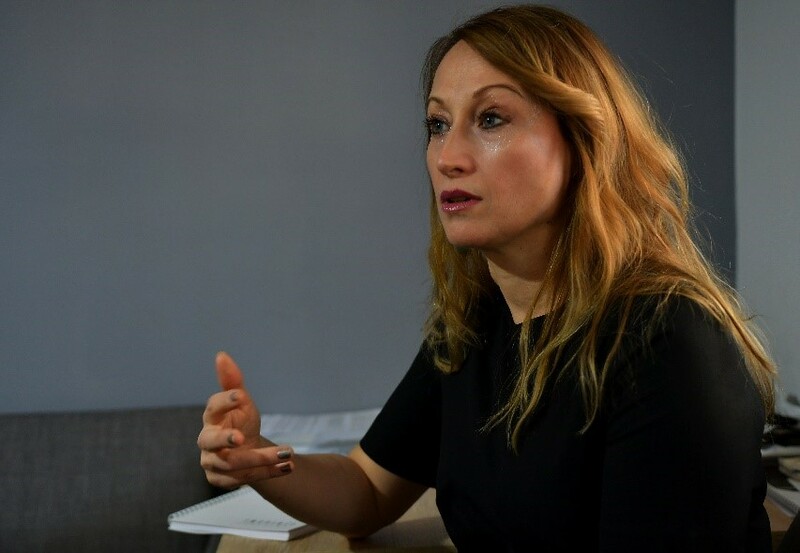 Prior to her dedication to the training and consulting career, she worked few years for the office of the United Nations and UNDP in Skopje, close to the Resident Coordinator. Since, 2016, she has founded her own Training and Coaching business, the company called Inspirit Coaching, that has trained over 500 people, at home and abroad, helped leaders become more focused, speak more confidently, and be better aware of their own value and presence. Also, she has helped hundreds of people start their own businesses, through entrepreneurship training and business coaching, among wish are many women, as well. Irena Jakimova has a Master degree in General Management, earned at the University of Sheffield, City College in Thessaloniki. Besides the formal education, she is also a Certified Points-of-You Trainer, Certified Trainer for adults (Ministry of Education), an SDI (Strengths Deployment Inventory) Facilitator Level 2, as well as a Neuro-Linguistic Programing (NLP) Master Practitioner and Coach. She trained to use Playing Big and other methodologies for growth, personal and organizational development (also specialized in Executive Coaching, by John Mattone, coach of Steve Jobs and Team Coaching by Marylin Atkinson from Erickson College). She is also a Master Trainer of the Swiss Hotel Management Academy Lucerne (SHL) for Customer-oriented communication. Proficient in English (Certificate from the Cambridge University).